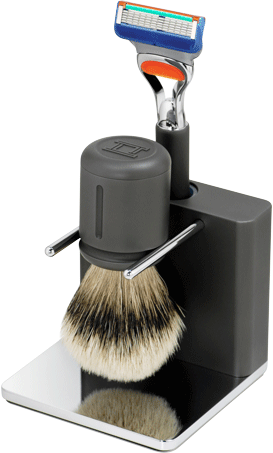 TwinLuxe Arctic Edition Alumina Ceramic Shave Set - silvertip badger brush, razor, and stand. 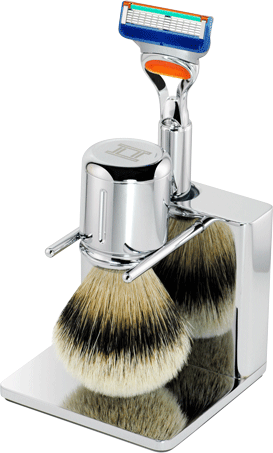 The limited production TwinLuxe 'ARCTIC' Edition is the highlight of our shaving instruments collection. 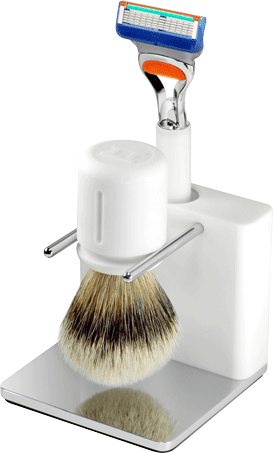 It is machined in the USA from solid white alumina ceramic, an advanced ceramic known for its high mechanical strength and wear resistance. This high-tech material is typically used in demanding industrial and structural applications such as engine parts and ballistic armor. 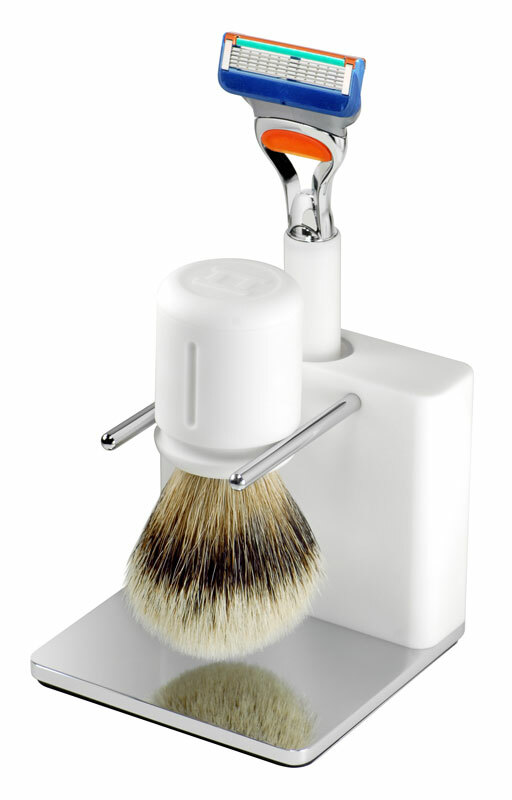 This shave set is packaged in an elegant 7" cube walnut wood decorative box with pull-out drawer. To view an interactive virtual tour of the kit, please click on the 360Â° views+ link on the upper left side.